A free 4-session pass (valued at $1200!) to EXHIBITORFastTrak* in Chicago, October 31 – November 3, 2017. EXHIBITORFastTrak is the industry’s leading learning conference for trade show and event marketing professionals. 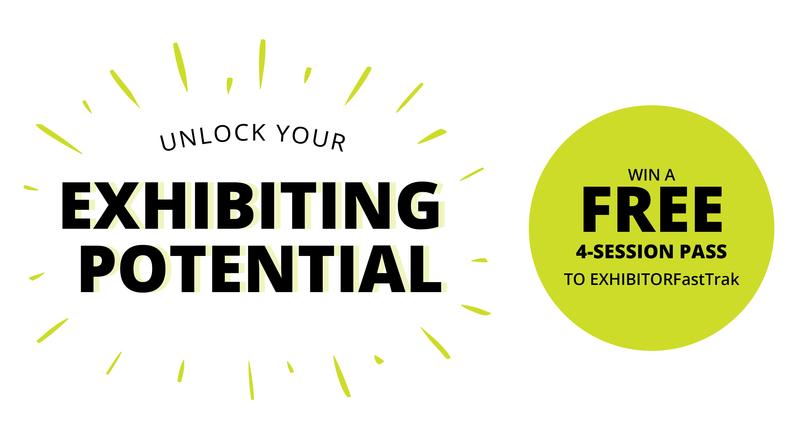 Choose from courses ranging from the best in-booth marketing tactics to understanding the essentials of great exhibit design. To see a list of all available EXHIBITORFastTrak sessions, click here. One random winner will be selected via raffle. Sweepstakes runs until Friday, October 6. Winner will be contacted the following week by Friday, October 13. This offer is valid for any four (4) regular FastTrak sessions, chosen by winner. You must submit an entry form (to the right) to be eligible. Multiple form submissions will not be counted. Click each session to learn more about the topics covered. *Nimlok Chicago is not affiliated with EXHIBITOR Media Group. All trademarks, registered trademarks, and brand names are the property of their respective owners. Use of them does not imply any affiliation with or endorsement by them.